Here’s a piece I just did on Palestine solidarity activism in Mexico, published by the wonderful folks at Upside Down World. 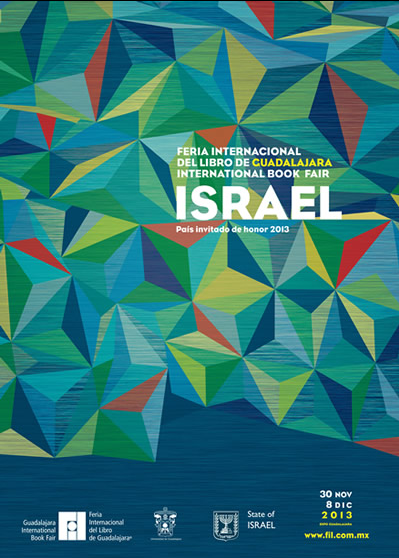 The Guadalajara International Book Fair (FIL), which according to organizers is the largest Spanish language literary event in the world, opened amid controversy this year. It isn’t books that are the source of the conflict, but rather who the organizers chose as the country of honor: Israel. As the book fair kicked off, Mexico’s guest of honor was the target of global protests against a proposed law called the Prawer Plan. If it becomes law, the Prawer Plan would result in the demolition of 35 Bedouin Arab villages and the forced displacement of as many as 70,000 people into state planned settlements. A small protest greeted Peres’ arrival at the FIL, which was deftly contained by security. Other activities, including film screenings and readings of Palestinian poetry, have taken place over the duration of the book fair. According to the Arabic Literature (in English) blog, only one author writing in Arabic was included in the Israeli delegation to Mexico, and no Palestinian citizens of Israel participated. Palestinian, Lebanese and Jordanian writers co-signed a statement of protest against Israel’s guest of honor status at the FIL. The FIL, which is held from November 30 to December 8 in Mexico’s second largest city, involves nearly 2,000 publishing companies from 40 countries, and is attended annually by more than 600,000 people. The commercial aspect of Peres’ visit was not lost on protesters. While in Mexico, Peres attended a Mexico-Israel business forum, and met with Carlos Slim, who with an estimated net worth of $73 billion, is the world’s richest man. Mexico’s trade relationship with Israel got a boost in 2000 when the two countries signed a Free Trade Agreement. In 2012, Mexico-Israel trade was estimated to be worth $600 million. Mexican activists made it clear that FIL organizers didn’t respond to their request that Palestine be invited along with Israel. The insist that Palestine should be invited as the guest of honor during next year’s FIL, or at minimum in an upcoming year. « Are green groups ready for tarsands deal?